Complete interior design for this interesting 1970s MOD built house. Parkfield House was built in 1975 in the old orchard of Latimer House as the accommodation for the commander of the National Defence College and remained, pretty much, untouched until we were approached. The house is located in the Chilterns AONB and is adjacent to the Latimer Conservation Area and several Listed properties. 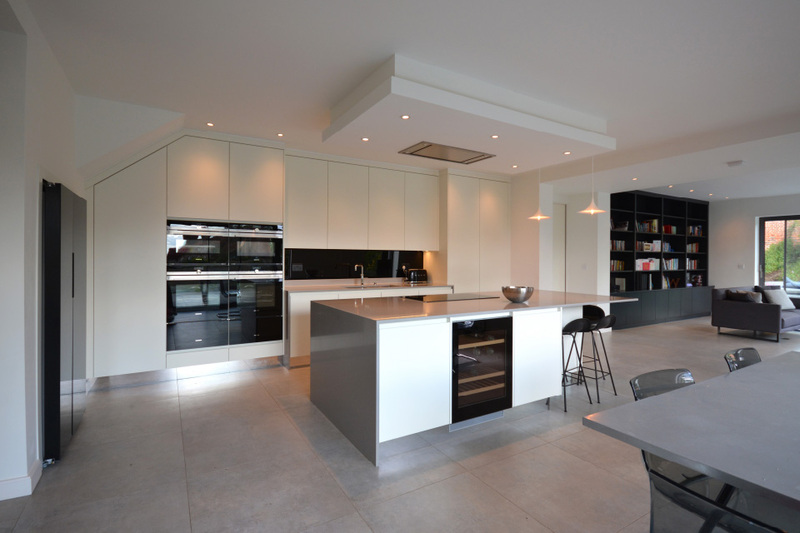 Working very closely with the client and the architect this house was sympathetically refurbished to create a lovely family home. 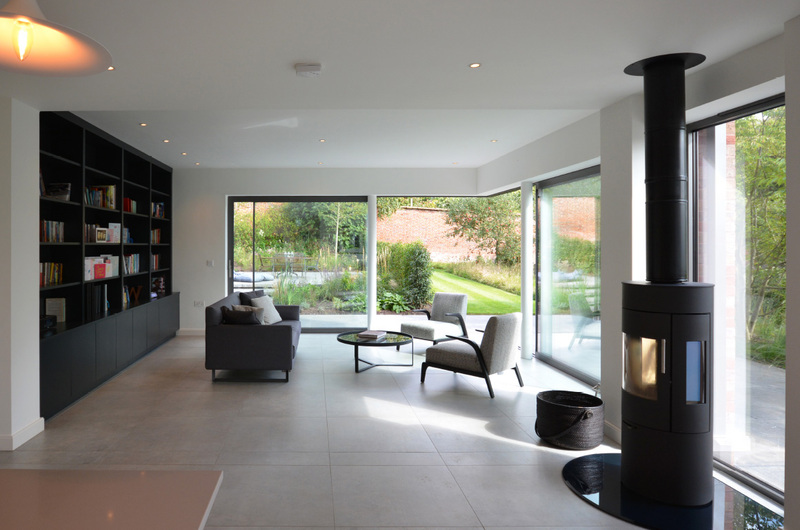 The interior layout was rationalised to do away with as much wasted circulation space as possible, plus we added a new, 2 storey extension to the northern end of the property in what was originally the service area and turning circle for the drive. 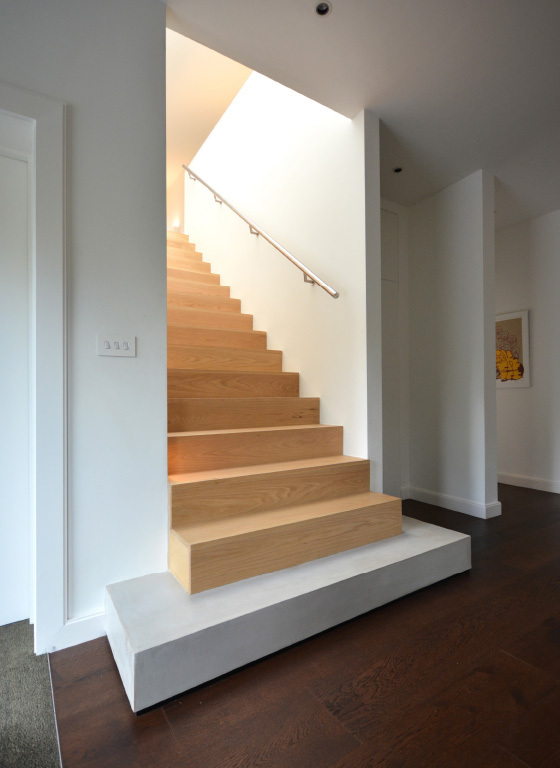 The extension was designed with a simple rectangular footprint; as a way to keep costs down; and was informed by the rather unique architectural language of the existing house. 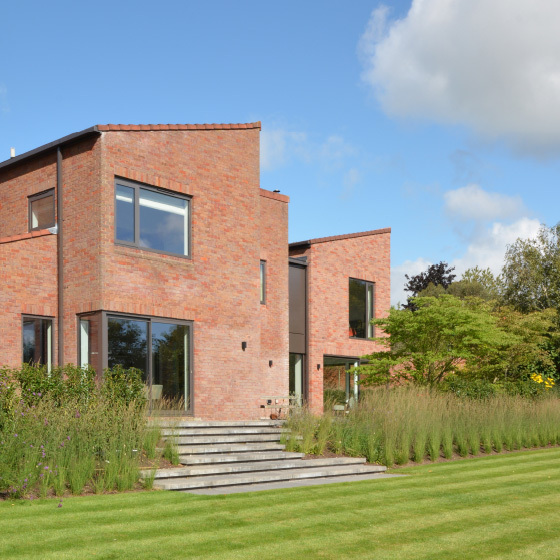 The bricks and even the existing ‘pink’ mortar were matched and the client’s choice of brown metallic replacement windows was a further response the 1970’s architecture. 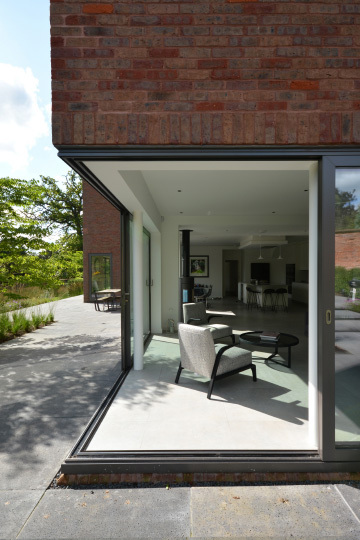 A visible, break between new and old is delineated by an aluminium link which also creates a new back door to the house. 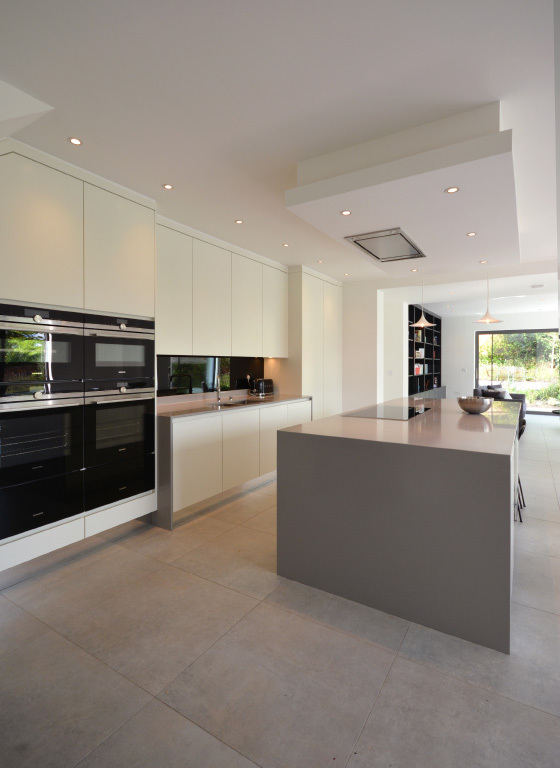 Jane Duncan Interiors, supplied and dressed the house with all finishes, fixtures, fittings and furniture.